Stunning photograph of this fascinating animal! Eyes and ears of the jack rabbit are very captivating. They are actually hares. Rabbits burrow and hop. Hares nest and run like hell. Ted, you are correct...jackrabbits are hares and they do not burrow or make dens. 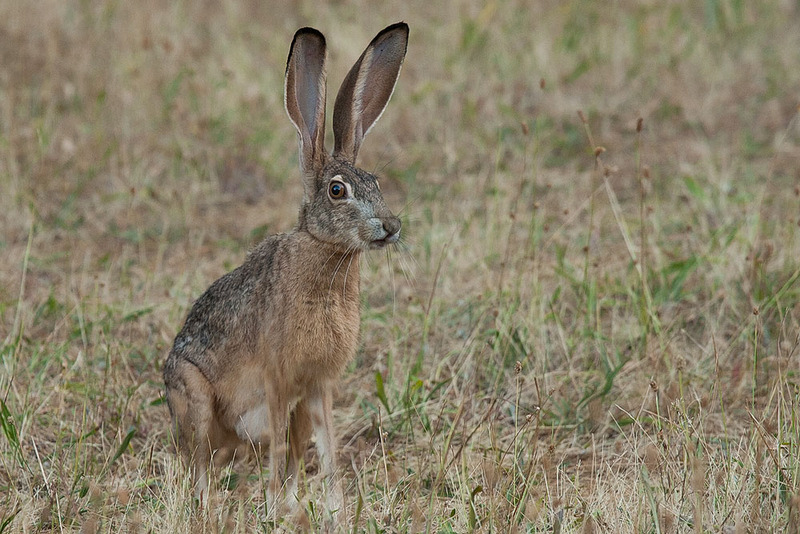 Timotha, you are correct too, we rarely see jackrabbits in the foothills. It was a rare treat. Great catch. Love the nose. Love that look in his eye. This is how prey species see the world.